Employees at Piers II and II of Piraeus' Container Terminal (PCT) returned to work on Friday afternoon, as the 24-hour strike called by the Piraeus Labor Center was found illegal by a local court earlier in the day. The court ruling came after an injunction filed by DPORT, the company that manages staffing for PCT, a subsidiary of China's Cosco. 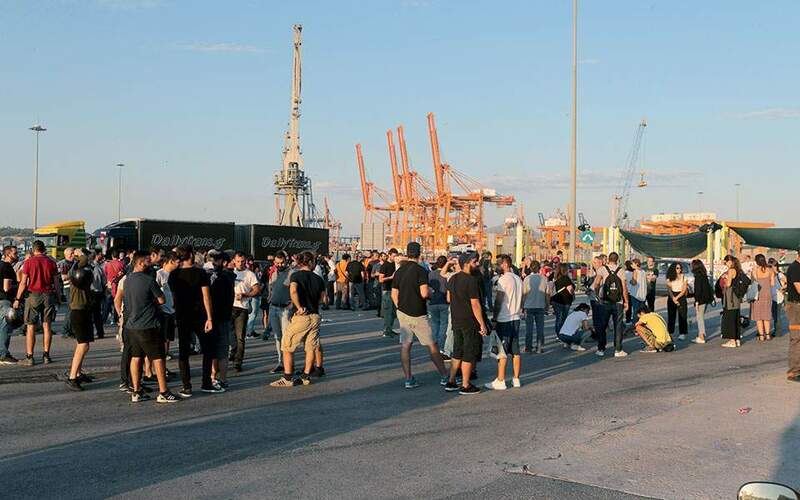 The Labor Center's action aimed to support a separate strike called by the ENEDEP union of container handling employees in Piraeus outside the company's premises. ENEDEP was calling for the signing of collective labor agreements, permanent jobs for all staff and committees for employee health and safety.